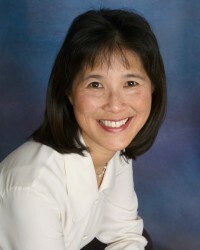 Dr. Dianne Chun has focused on providing outstanding orthodontic care for children and adults in Fremont for over 20 years. Beyond experience and clinical excellence, Dr. Chun is distinguished by her highly personalized service. From your very first visit and throughout your treatment, Dr. Chun takes the time to fully explain every detail and to assure that all of your questions are answered. She personally plans and implements every comprehensive orthodontic treatment. You are treated exclusively by Dr. Chun, and never “handed off” to an Associate orthodontist. Dr. Chun is supported by her dedicated and compassionate long-term dental staff. She and her staff take a “team” approach to orthodontics in which you, Dr. Chun, and her staff work closely together to give you the best possible treatment results. Dr. Chun has chosen to specialize solely in orthodontics. She completed her Post Doctorate Orthodontic training and concurrently earned a Masters of Science in Dentistry (M.S.D.) degree at the top ranked orthodontic program at the University of Washington, Seattle. She earned her dental degree (D.D.S.) at the University of California, San Francisco (UCSF), where she was a Regent’s Scholar, received the Dean’s Honor Research Award as well as the American Association of Orthodontists Achievement Award. She was also inducted into the Omicron Kappa Upsilon National Dental Honor Society. Prior to UCSF, Dr. Chun completed her Bachelors of Science degree (B.S.) at the University of California, Davis. She graduated as a Regent’s Scholar with High Honors, and earned a lifetime membership in both the Phi Beta Kappa Honor Society and Phi Kappa Phi Honor Society. She also received multiple Dean’s awards and was honored for her excellence as the campus Pre-Dental Peer Advisor. Dr. Chun is an accomplished researcher. She has completed and published research on various dental and orthodontic topics, and has been a speaker and presenter at several dental and orthodontic conventions. Dr. Chun, a native Californian, actively supports the local schools, youth sports teams, children theater groups, Girl Scouts, Tri-Cities businesses, and other community activities. Outside of her orthodontic practice, Dr. Chun enjoys spending time with her husband and two daughters, traveling, and cooking.